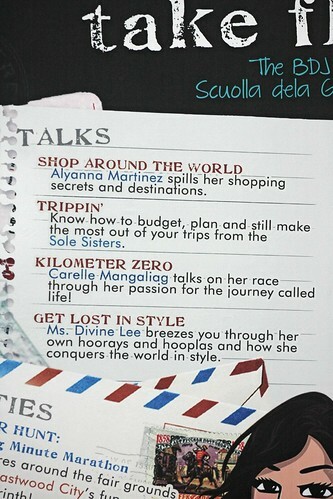 This is the text version of Lois' talk about Traveling during the Belle de Jour Fair at Eastwood City, Manila for empowered girls who want to take flight. Most of this is stuff we learned from our travels. Remember that all advice is autobiographical. Your mileage may vary. To top it off, you've never traveled long term, never traveled alone and didn't even own a backpack! Do you think it's doable? We did exactly that! 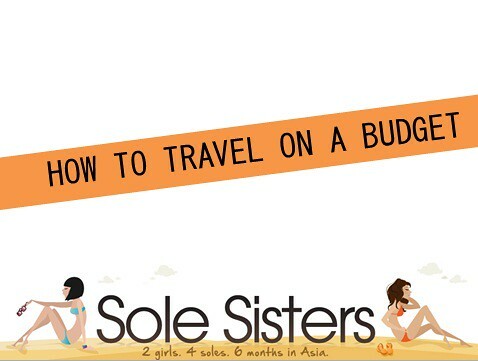 Sole Sisters is the story of 2 girls who quit their job to travel the world. 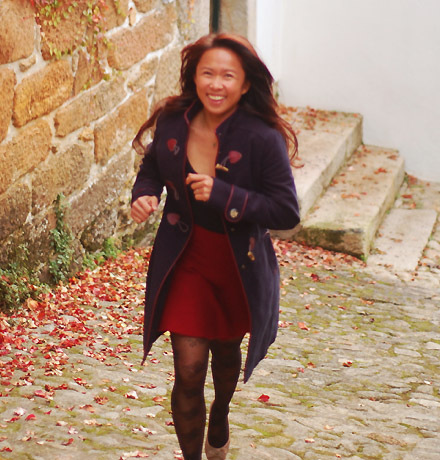 Chichi and I met when we worked at the same company and we shared a passion for travel. We had no prior travel and blogging savvy but together we planned and went on a 6 month trip around India and Southeast Asia. After our journey, we went back home to share our story and reinvent our lives. At the beginning of our trip, Chichi and I were glampackers. All we thought about was luxury travel, looking great on the travel photos and still being fashionable while on the road. Halfway through our backpacking adventures, we were completely transformed. We started caring less about how we looked and focused more on the whole travel experience. We learned to budget our depleting funds and tracked our expenses. We talked to travelers and locals alike and embraced the poorpacker's life! What's the first thing you need in order to start traveling? Money of course. Here's how we were able to save enough money to go traveling for 6 months. Minimize your spending by skipping the inessentials. 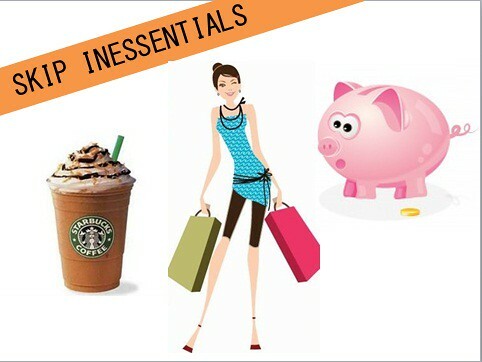 Your daily Starbucks coffee, monthly shopping sprees and weekly mani and pedi are inessentials. Have a No Bills Policy. Cut off your post-paid plan, cable and internet bill and credit card spending. I even moved closer to the office in order to save money on transportation costs. All the money you save should be deposited to a separate savings account that you can't easily withdraw from. When it comes to everything you've accumulated, you can Keep, Give or Sell. Keep the things you absolutely can't live without and give or sell the rest. And remember 3-month rule: If you haven’t worn or used that item in the past 3 months, then you won’t be using them in the future. Before our trip, Chichi launched the Every Dress Counts campaign where she sold most of her clothes, shoes and bags. She sold them online and through friends and colleagues. Through that campaign, she raised 54,600PHP- that's more than half of her travel fund! 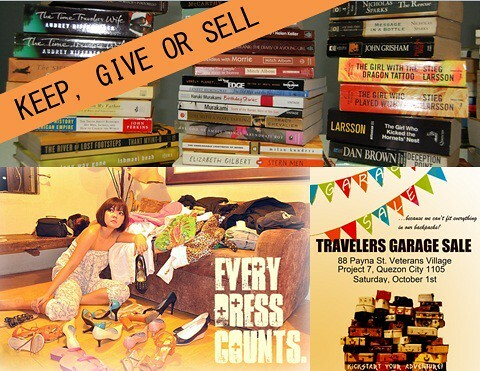 I recently organized a Traveler's Garage Sale where 6 travelers who were about to go on Epic Journeys raised funds to jumpstart their adventures. Come up with your own ideas on how to raise funds in order to travel. Start small like freelancing or earning online. Once you've started to save up for your escape fund, you can plan for your trip. I seriously hate this part. I don't enjoy researching the itinerary or route. I don't like pencil-pushing and logistics. So I left the pre-trip planning to my boyfriend Hutch and my Sole Sister Chichi. For lazy travelers like myself, here's the simple version: Start with listing all the places you want to visit. Plot them on the map. Do the research on how you can get from one place to the other. 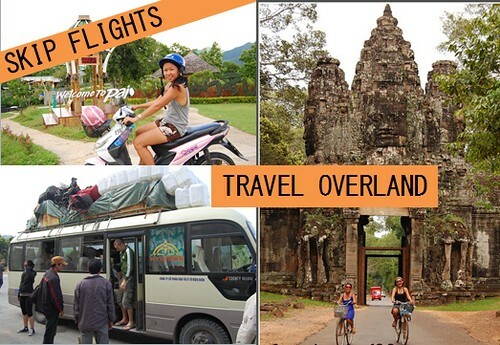 See if can travel overland or need to take flights. One important thing is: Don’t backtrack. It's a waste of time and money. And lastly, Be flexible. 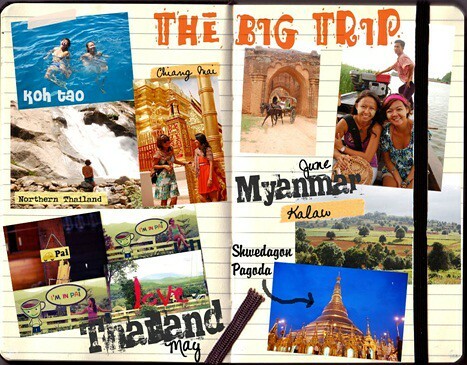 On our itinerary, we had initially planned on going from our 7th country, Thailand, to Malaysia. But while in Chiang Mai, we met a lot of crazy couchsurfers who were going to Myanmar. We changed our minds and went to Myanmar with them and that became one of the highlights of our journey. Get online support. Sign up for airline newsletters to know ahead when they're having low fares and seat sales. When we planned our trip, we learned a lot from travel bloggers like Dave of The Longest Way Home, Nina of Just Wandering and Flip of Flipnomad, among others. Connect with travelers who have been to the places you want to go to and ask them questions. One great decision we've made was to start our own travel blog. We weren't experts. We were just 2 girls who were about to start a big adventure. And we needed all the help we could get. It's the best way to connect to a huge online community of travelers who are helpful in assisting you with your plans. Do your research well when it comes to visas. Know how much it costs (if any), for how long is the duration and what documents you need to secure. If you don't do your research, you'll pay for this mistake dearly (like we did). I had flown to Thailand before and was given a 30 day visa at the airport immigration. So I assumed we would be given the same duration upon crossing the border from Cambodia to Thailand. Wrong. If you cross the border overland into Thailand, you're only given 15 days. So we had to do an emergency visa run before our visa ran out. That was an unexpected expense. 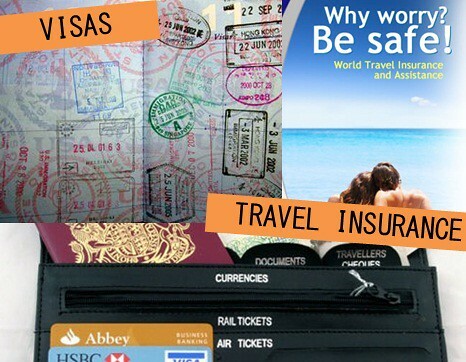 If you travel for more than a month, do get travel insurance. You never know what's going to happen on the road so it's best to get covered. Guys never have this problem. 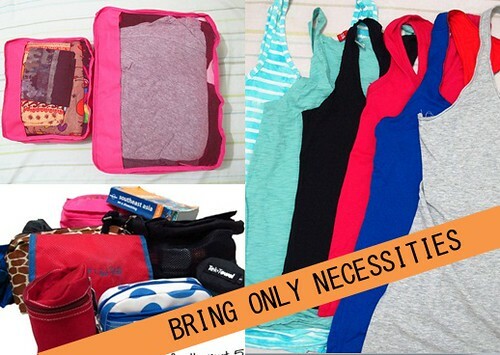 But girls always have a hard time packing, don't you agree? You can still backpack and be chic at the same time! Make sure you only bring the necessities. If you can buy it at your destination, don’t pack it. One good trick is to pack and the take only half. Yes, just HALF. Believe me, you wouldn't need more than that. We learned this the hard way. We started out with 15kgs in our backpacks. But towards the end of our trip, I forgot to purchase luggage allowance and we had to downgrade to the 7kgs hand carried luggage allowance. We left more than half of our stuff along the way! Do we need to bring makeup while traveling? Sure, you don't need to look grungy even when backpacking! But just bring what you need. Tinted moisturizer with SPF, cream blush, lip balm, loose powder and you're all set! Bring basic tops but don't forget to accessorize. You don't need to bring loads of accessories. Just buy them as you go along. Chichi brought bracelets from every country we visited which made nice souvenirs. 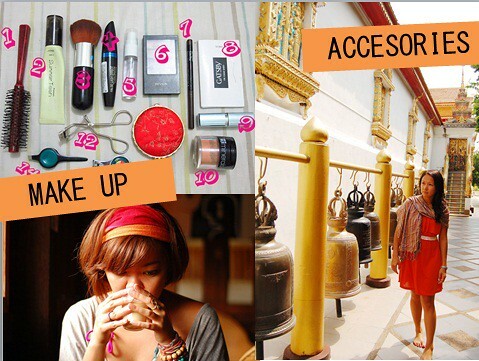 Bring colorful scarves and headbands to liven up your outfit. How do you make sure you don't end up stranded and penniless on the road? Budget your travel funds and keep track of your spending. Whenever you can, skip flights and travel overland. Imagine yourself getting on a motorbike and going through breathtaking landscapes. Or biking around the majestic temples of Angkor Wat. How about taking trains, trying delicacies and talking to locals and fellow travelers? Sure, it's not always comfortable. But it's the best way to experience a country. 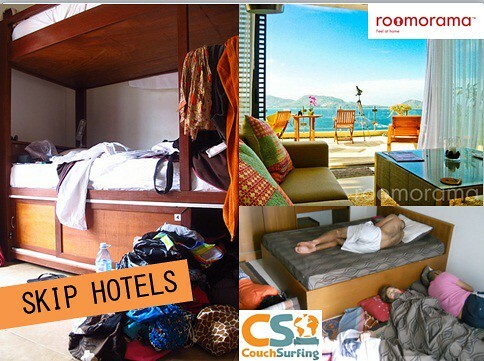 Instead of always staying at hotels, try alternatives like hostels. You won't be staying in the room most of the time anyway. You can try Roomarama for short-term rentals. You still get the privacy for less the cost. You may want to try Couchsurfing. It's a traveler's community where you can stay at a local's place for free. You may also host a traveler in your country. It's a great venue for cultural exchange and we've met so many wonderful people all over the world through this community. Food is going to take up a lot of your budget. So how can you eat well without running broke? 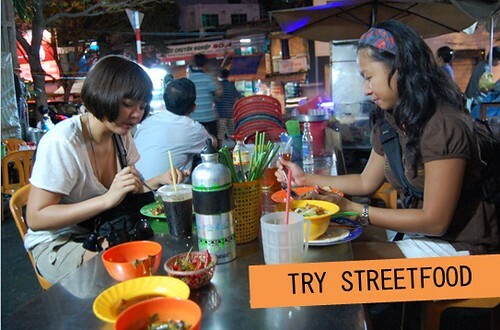 Try streetfood. Go where the locals eat. Usually, if a place is packed, the food is good and cheap. Ask fellow travelers you meet for their recommendations. Be open to trying new food. It's a major part of the travel experience. We've had some crunchy bugs in Laos. We ate curry with our bare hands in India. We tasted raw shellfish with spices and peanuts in Vietnam. They were so delicious! I can attest that Filipinos have an iron stomach. Thankfully, we never got sick in the entire 6-months we've been traveling. How do you have the Ultimate Travel Experience? 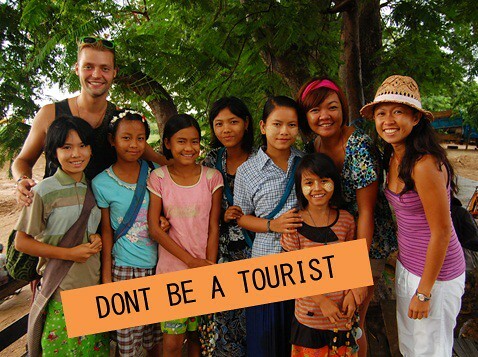 I have only one advice for you: Don't be a tourist. Don't just go to a country, take a lot of pictures then leave. Talk to the locals. Ask about their lives. Tell them about yours. For many parts of the world, you are their walking newspaper and living TV set. In places like Myanmar, you are their only access to the outside world. Make sure they get a good impression. Go off the beaten path. Leave the guidebook every once in a while. We made a big decision while we were in Thailand and just decided to sell off our Lonely Planet guidebook. It wasn't only heavy and bulky, we also needed the extra cash. But it was a wise (though scary) move. It forced us to ask locals for directions, ask travelers for recommendations and rely on our own instincts. If there's anything you can take away from my talk, it's this: Start traveling and start traveling now. It's the best learning experience you can ever give yourself. What about you? What are things you wish you knew before you started traveling? Thanks to Belle de Jour for inviting us to speak at their fabulous Fair and Power Planner Launch. We loved the opportunity to talk to young girls and encourage them to start their own adventures. We're giving away some Belle de Jour planners on the next post so stay tuned for that. Huwaw! Pang inflight/travel magazine tong article. My favorite part would be "How to pack well?" 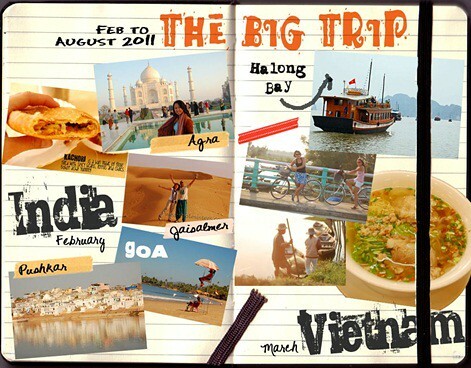 .lol We might be heading to Cambodia + Vietnam next year, what's the best way to spend 4D/3N on those places.? Thanks Nina! We can't stop thanking you for all the help you gave us. You also inspire so many people to travel! Esp solo female travelers. OO nga Ed no. Why didn't we think of that? Maybe we should do just that! Thanks KillerFiller! It's really hard for girls to pack :-) Naku your timeframe is so short for the 2 countries. Are you flying to both? Do Angkor Wat of course and then Saigon is nice. Enjoy your vacation! 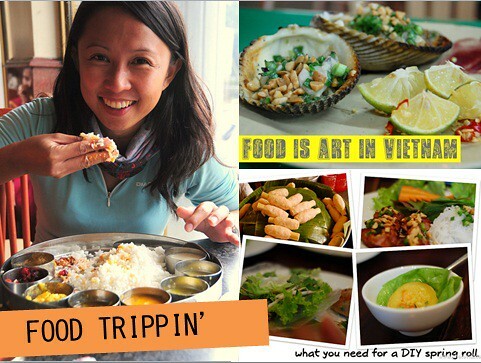 The food is amazing in Vietnam. On some trips I'm a glampacker. On others, I'm a poorpacker. Luckily I have small clothes. I love the moleskine-ish photos! now that's how you do it perfectly! sharing this to friends. Thanks Cindy! Glad you liked it! Thanks so much Sheila. I'm sure you can do it too! Traveling is indeed affordable if you know how to budget and start being a "poorpacker". We know what you mean Astrid. 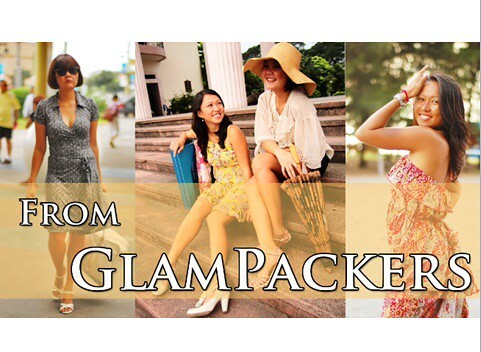 Sometimes we're also confused on the glampacking or poorpacking bit. But one thing's for sure, we love to travel! Chichi takes credit for the photo collage. Great work. Thanks Gaye! That means so much coming from you. You really helped us even in the beginning! Yeah, we changed a lot. Travel really does that huh? I wish we had your skills Ed! I need to write you one of these days. I don't kn0w how to make an ebook. Much more, make it downloadable! Please don't stop traveling Calai! Keep those itchy feet walking! Thanks for dropping by and do share some travel tips in the future! We would love to hear it. Thanks so much dong. We really learned so much in 6 months! Thanks for being part of the community that helped us along the way! great story lois next stop europe? Actually, Europe came before this trip. Much cheaper pa nga yung 3 months ko dun eh. About half the budget of the SEA trip. Wow, that's a seriously big compliment coming from you Dave! Thanks so much! We have learned from a lot of people including you and we can't help but share it with others. 100,000 for just 6 months?! for all those countries? now, i seriously need to re-examine my budgeting skills.. thanks for the inspiration and more power!!! Thanks so much Gael! We appreciate all the suppport you've given us. 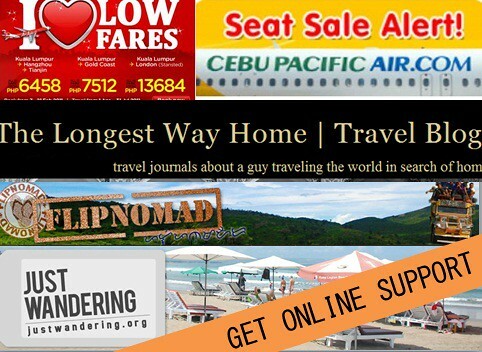 So happy to part of an awesome travel community with the Pinoy Travel Bloggers! We didn't know it was possible to spend so little as well Joan. But then we met other backpackers who spent the same amount but for twice the duration- 1 year! It's really possible! Thanks for taking the time to write us a note and we wish you many happy adventures! That's right RV, that hostel was one of the best ones. I agree, it's sometimes hard to get a nice cheap hostel. Especially ones without the bedbugs! We wish you many happy adventures too! pure awesomeness! more opportunities to share your adventures! James! It's you! Thanks so much for the support. We really love sharing the joys of travel! Lecky to. Love your blog. traveling around was a dream. that was before. read this. and you will get so much inspiration and motivation to get on your feet. and start to plan your travels. now. no dreaming. no waiting. plan well. and am sure, you'll be in so many places in a short time, you could have never imagined or believed that you can do it. i did. sharing to you what i shared on my wall. I love the composition of this post, I get bored reading long posts but yours won't allow me! Grabe, parang may magic mga posts nio! Keep it up! Wow! thanks for sharing this with your friends! We really appreciate those touching words JP! We're so glad you loved it LA! We do our best to always make it interesting. Wow! Thanks for the feature and for sharing your entry with us! Maybe it's time to explore our SE Asian neighbors Claudine. Thanks for your offer. e might take you up on that soon. Kaya mo din yung budget travel na yan! I was looking for an informative blog for my cambodia trip on september with my best friend and my husband. 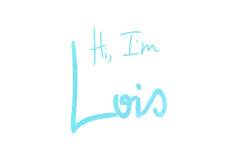 and i bumped into ur interesting blog in cyperspace, since then i've been stalking you guys ever since. I read your entries even if its prohibited at work.. ssshhh... U have sprinkled ur wanderlust dust on me big time..haha.. I can't wait for my own adventure in the future! More power to both of u! I browsed your blog and this article caught my eyes. Can you tell me how long it took you to save up the money you needed to travel? 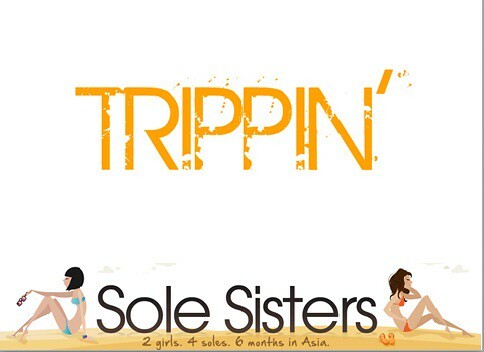 Cool blog, adventurous and brave sole sisters! :) Maybe one day I'll have saved enough money and guts to do the same. Beautiful words! No dreaming. No waiting. So happy to "meet" a lot of traveling Pinays online! Thanks for stalking us!! Do share your adventures with us in the future! Sorry I read this too late Michellet! 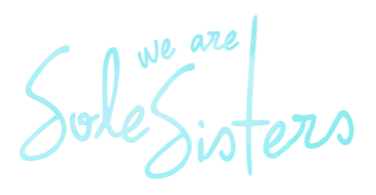 Can you please send us an email at solesisters(dot)weare(at)gmail so we can address your questions further? It took us 1 year to save 100,000 PHP. Kayang kaya yan Faye! Hahahah love that! Pwede bang gamitin to? You can also do it Macy! I totally agree Jem! Thanks for sharing those precious tips. On the next trip, I want to stay long enough in a place to become conversational in the language. You can do it Faith! Thank you! Even though you're a "belated bloomer" you can definitely do it too! Boo me! Ngayon ko lang nabasa 'to! Thank you for this! Big big help! This article makes me want to travel right NOW.